Soviet sculptor Lev Golovnitsky (10 December 1929 – 29 April 1994) – People’s Artist of the RSFSR, member of the USSR Academy of Arts, and laureate of the RSFSR State Prize of Repin. 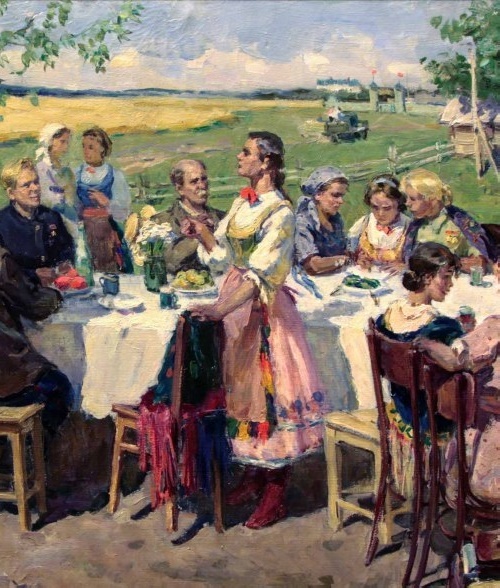 Golovnitsky worked in the style of socialist realism. His work reflects the prominent figures and important events of the Soviet state. 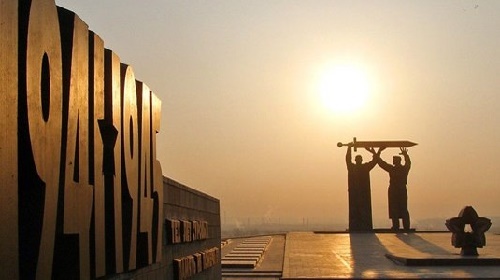 Chelyabinsk sculptor is the author of monuments to Vladimir Lenin, “Eaglet” in Chelyabinsk, the monument “Rear – to front” in Magnitogorsk and many others. 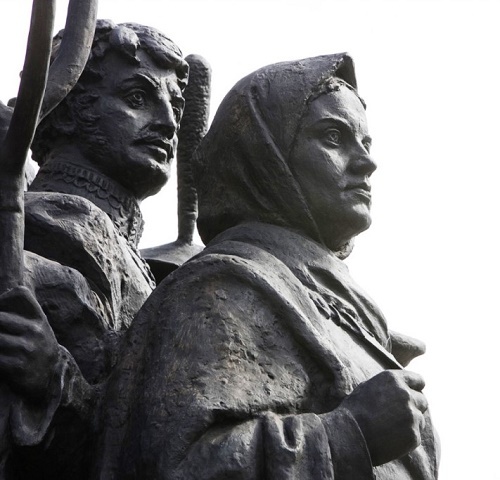 Today, without the works of the sculptor is hard to imagine Chelyabinsk and other cities of the South Urals. Born December 10, 1929 in the city of Kurgan, already in 1932 three-year-old Lev and his family moved to Chelyabinsk. From an early age the boy showed interest in drawing. 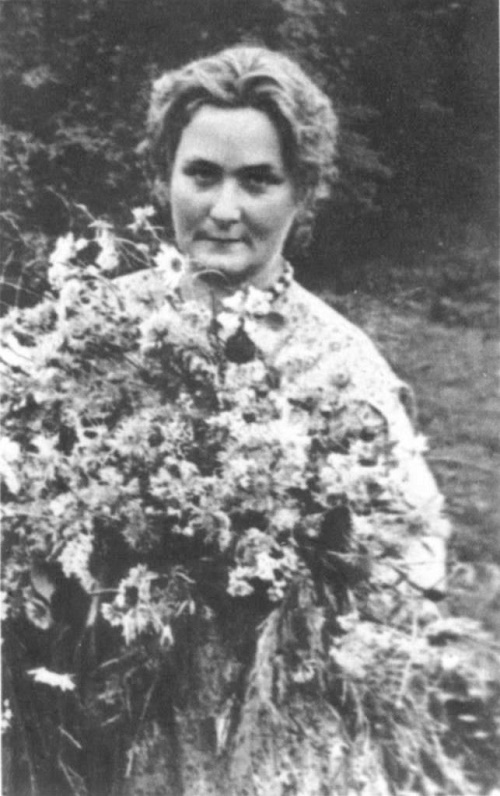 From 1944 to 1947 he worked in the art studio of the Palace of Pioneers named after Nadezhda Krupskaya. Golden Sheaf monumental Fountain, also known as “Friendship of Peoples of the USSR” was created by the architect-artist KT Topuridze, engineer VI Klyavin and teams of sculptors Z. Bazhenova, AI Tenet, IM Chaikov, ZV Ryleyeva and VP Gavrilov. It was opened in 1954. The initial project was called The Main Fountain, but in project documentation of 1953-1954 was also called “Golden Sheaf”. 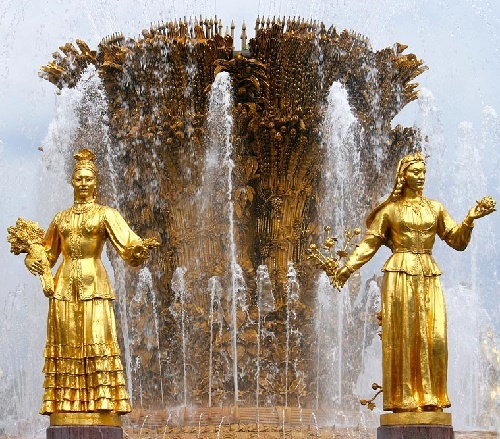 And finally, since 1954, it’s official name has become “Friendship of Peoples”, however, some sources sometimes use the name “Friendship of Peoples of the USSR.” The Golden Sheaf Fountain, first of all, fascinates with its size and outright luxury. Pool of fountain – an elongated octagon with internal dimensions for the major axis of 81 m and a minor axis – 56 m. By the way, to completely bypass the octagonal fountain, one will have to pass 170 meters and an area of 3.5 thousand square meters. 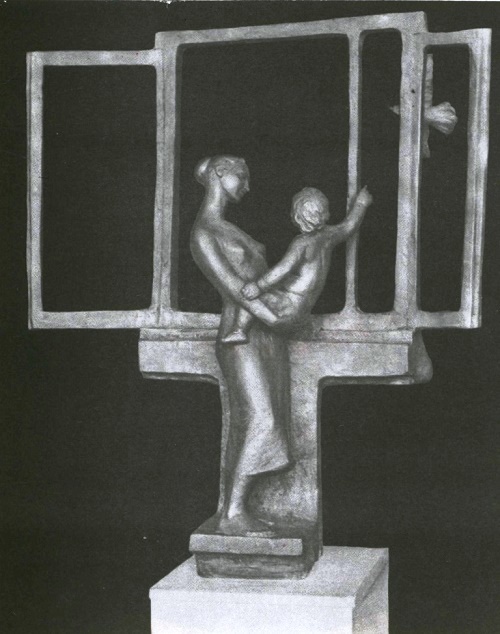 Soviet sculptor Yuri Chernov (1935-2009) – Academician of Russian Academy of Arts (1997, Corresponding Member of 1979), People’s Artist of the RSFSR (1979), Member of the USSR Union of Artists (1960), member of the Academy of Arts of Kyrgyzstan (1998). From 1977 to 1987 – Secretary of the USSR Union of Artists, awarded the Order of Friendship of Peoples, “Badge of Honor”. The most famous works – the monument to Yuri Gagarin in Moscow and Orenburg. Yuri Chernov became an orphan early: in 1939, was arrested and killed his father, in 1944, his mother died. The true parental warmth and care, Yuri and his two brothers found in the family of their aunt Anna (elder sister of mother) and her husband Lev Chernov, who adopted the boys, brought up and led them to an independent way of life. Seeing Yuri’s capacity for modeling, he was sent to study at the Moscow Art School (now – Moscow State Art Lyceum), the sculpture department. Communicating with friends, visiting exhibitions, museums, and especially the Tretyakov Gallery, which was opposite the school in Lavrushinsky Lane, living in the atmosphere of art, friendship, respect for knowledge and work – shaped the identity of the future artist.